ERASMUS+ : Austrian encounter ! From September 29 to October 2 Mountain Wilderness attended the third meeting of the Erasmus + European project aiming at promoting wilderness awareness and adults education. All program partners were present: “Friends of the Czech Republic Earth / Hnutí DUHA“. our Austrian guests from the European Wilderness Society (EWS – Austria), Slovakia’s WOLF Forest Protection Movement (one of the best known environmental organizations of Slovakia) and Mountain Wilderness which carpooled from Grenoble (France). 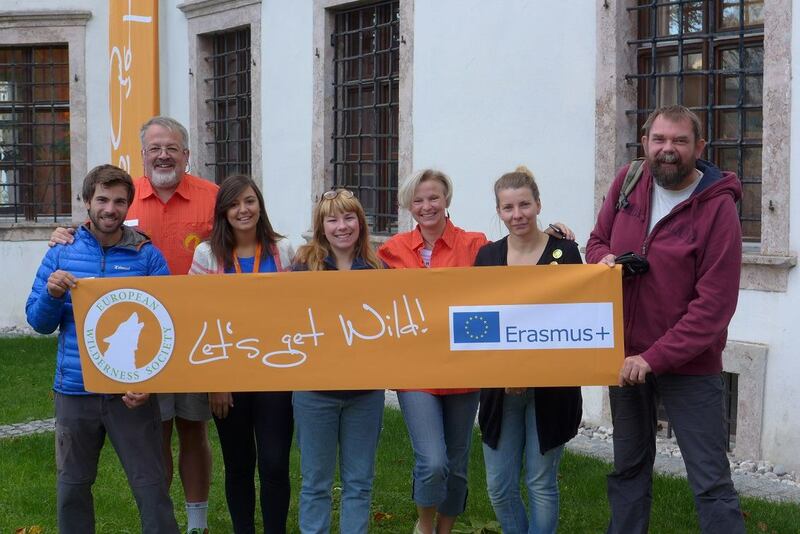 While participating in the European Wilderness Day organized by EWS, we spent two days in the Gesäuse National Park . On Tuesday, we had the opportunity to participate in numerous conferences on various Wilderness themes such as Danube management or wolves preservation in Italy and Spain, to discover their related but different visions and participate in the awards ceremony for Kalkalpen (Austria) and Zacharovannie kraj (Ukraine) parks. Indeed, these two parks were rewarded with a medal and a diploma for their commitments to the Wilderness conservation. Wednesday was dedicated to hiking in the Gesäuse National Park . Two park agents taught us much about the specifics of the territory and its various Wilderness management methods. About 12 500 ha wide, the Gesaeuse National Park is amazing by its beautiful Alpine landscapes, its rich wildlife and flora (more than 50 orchid species are listed there!). The park is also active in Wilderness education – a camp is offered to families wanting to experiment a nature immersion stay!